We would like to first thank and second congratulate our buddies at Southern Star Tattoo in Atlanta, GA. They were voted the best tattoo studio in Atlanta by public voting for 2013 for Creative Loafing Magazine Best of edition. 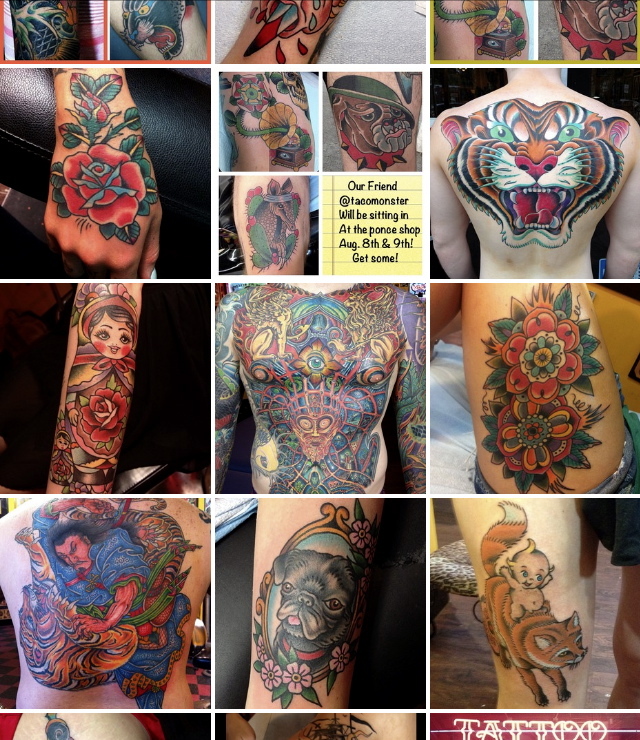 In the past few months Lil D and Mikey Slater have been tattooing with all the fellas at SST. Switching off on weekends to help with the overwhelming amount of business that comes with owning the title of best tattoo shop in town. It has been not only been an honor but very inspirational as well to be surrounded by some of the most innovative tattooers in the southeast. Their vast knowledge of tattooing as well as tattoo aesthetics is second to none. If you are into collecting great tattoos that stand the test off time do yourself a favor and stop in one of their 2 locations. 736 Ponce de Leon, Atlanta, GA, 30306. 1158 Euclid Ave, Atlanta, GA, 30307. SST has several Award winning tattooers at each location, Keet D’ Arms, Bill Conners, Demian Bouchon, Eric Thrice, Brian Gattis, Tim McGrath, Josh Two Times, and Andrew Patch creating a unique opportunity to be able to cover all styles of tattoo. From a small walk-ins to large custom pieces there is always an artist available to help you. Not only are they super talented they are approachable and easy to work with. You will understand immediately why its an honor and a pleasure for us to work there when you walk in and have the SST experience for yourself. To get tattooed by any of the artists at SST. 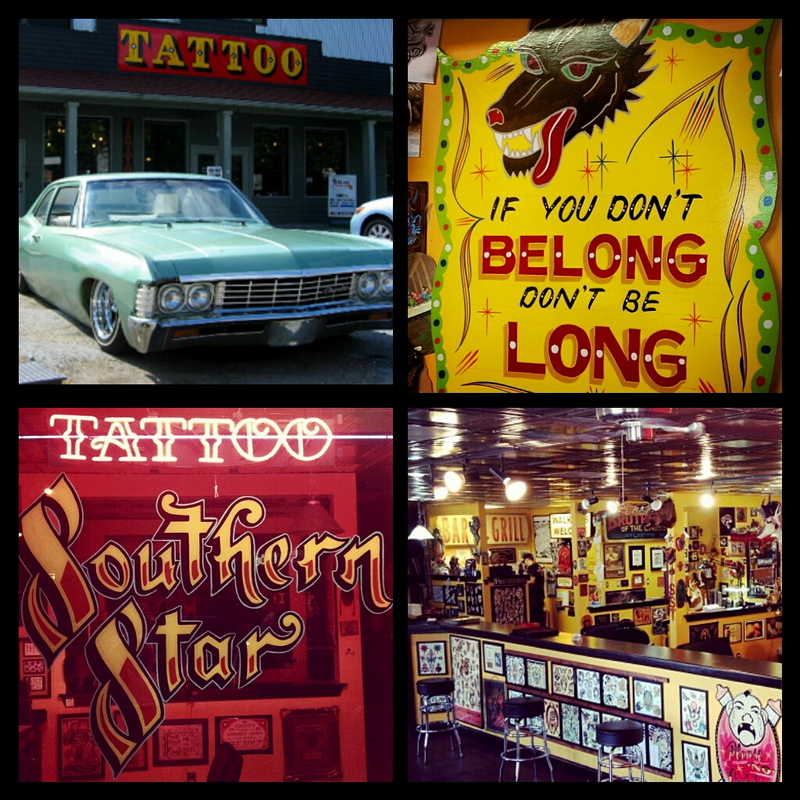 Stop by, call (404-810-0080 Ponce) (404-222-0767 Euclid) or go online http://www.southernstartattoo.com To find out when Lil D or Mikey Slater will be tattooing at SST or make and appointment call (706)-878-1920, go online http://www.1920tattoo.com or facebook/1920tattoo. Last but not least we have to thank the floor guys of SST for everything they do for us when we are down there working! You guys rule! We would also like to congratulate Keet D’ Arms for winning Best Tattooer of Atlanta for Creative Loafing Magazine Best Of. Proof that hard work and a great attitude pays off!!! !